The seven week long Experience-driven Design course goes through the full product development process from research, through methods such as academic research, expert and user interviews, and an online survey, to iterative concept design, prototyping and user testing. The class projects were to design both an applicable and radical concept based on the client brief by defining experience goals and evaluating the resulting experiences. Our team’s client was F-Secure, and their brief asked for an interactive, engaging and amazing visual representation of Wi-Fi available to a user. The application should also encourage users to adopt F-Secure’s Freedome VPN app for safer connections. We wanted to stay critical towards the brief and our assumptions to make the best possible design. We created questions based on the brief and later from academic benchmarking and interviews and made an online survey to find out more about user experiences, thoughts and habits related to Wi-Fi. We established our Experience Goals based on that research, and then used those goals to develop two concepts. The development process was iterative, moving from paper prototypes to digital and back again. For each of the iterations we evaluated the concepts based on user feedback and our goals which then shaped the next version. 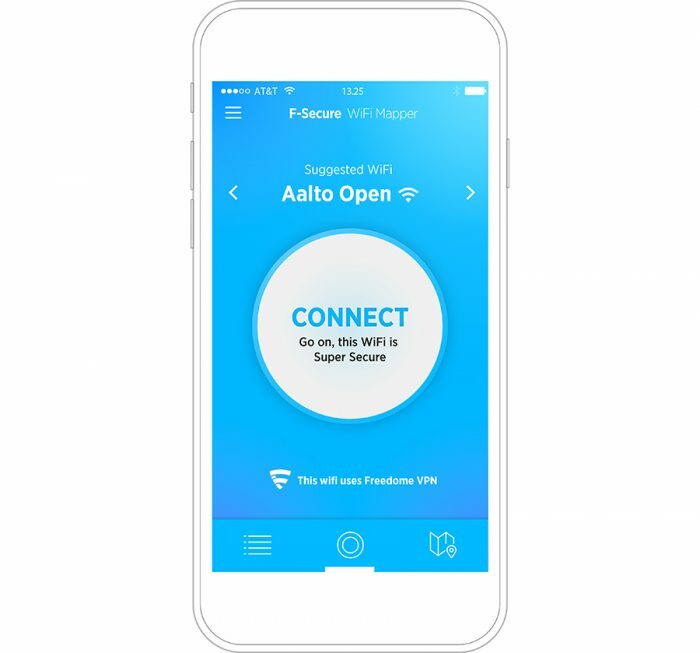 The applicable concept is called ‘Connector’ – an application that enables easy and fast way to connect to the most secure Wi-Fi available, as well as to compare different networks on a list or map view. After connecting the application uses quotes as instant feedback of the user’s security status. The functionality of the application is closely linked to the Freedome VPN, and can be used on either mobile or computer. 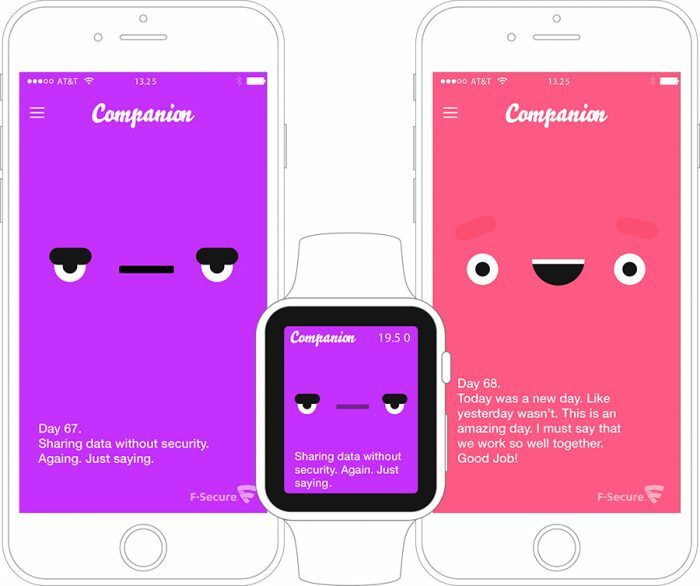 The radical concept is called ‘Companion’ – this application highlights the user’s security status and online habits using storytelling as a character that lives in the user’s phone and sends narrative feedback about the security status. The character’s life is connected to the user’s actions and the storytelling creates an emotional connection for the user. By using this application the user will learn about their habits and the security issues they are facing that are usually unknown, and they will be empowered to change their actions to safer connections.